Come roll and pose your way into the holiday season with an evening of spin, yoga, shopping and entertainment! 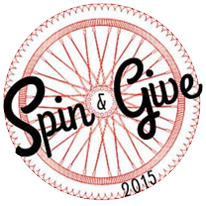 Join us at Archbold Gymnasium Friday, Dec. 11, from 4-8 p.m.
Four hours of music bumping spin instruction. Intermix the night with yoga, snacks and holiday shopping! Open to all Syracuse University students, faculty, staff and guests who pre-register. New to the spin bike? First time practicing yoga? No worries–this is an awesome opportunity to get comfortable riding at your own pace, and an even better reason to hit the gym with your friends before the holidays! Get some holiday shopping done with local vendors: JoJo Rings–for every ring sold at the event a donation will be made back. Drawings throughout the evening! Enter for your chance to win gift certificates from one of our sponsors, including: Natur-Tyme, J Michael Shoes, Starbucks, Boom Babies and more!